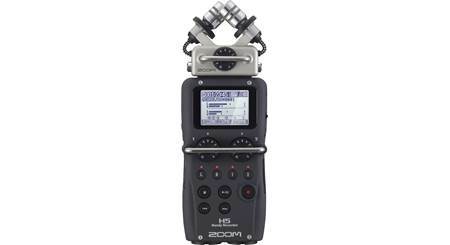 With the Zoom H4N Pro you can capture professional-sounding audio just about anywhere. 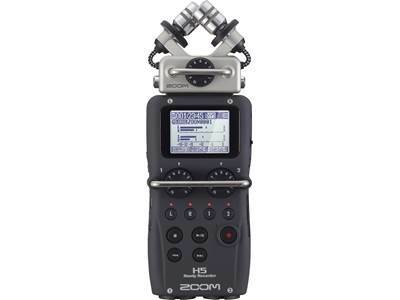 With the Zoom H4N Pro you can capture professional-sounding audio just about anywhere. 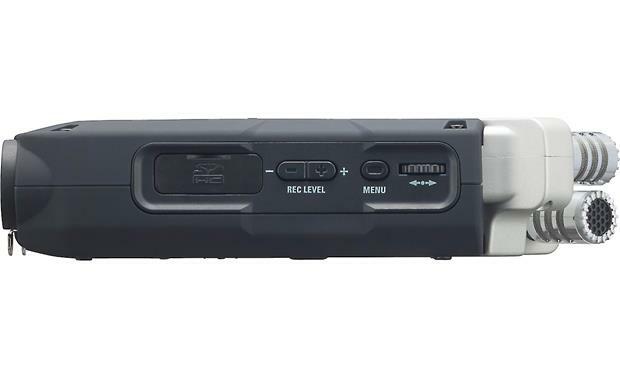 This sturdy digital recorder features built-in stereo condenser microphones that can be angled at either 90 degrees for tightly focused sound or 120 degrees for recording a wide soundfield. 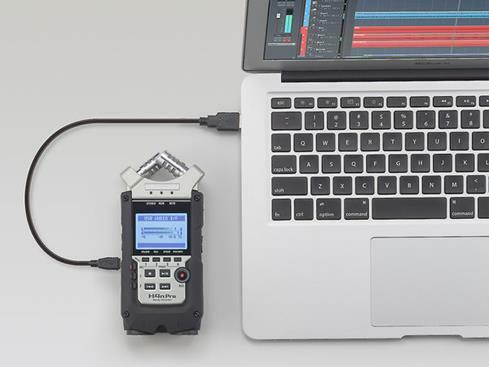 Use the H4N Pro for recording band rehearsals, podcasting, adding high-quality sound to your video camera rig, and capturing interviews in the field. The H4N Pro can record it all with accuracy and detail. In addition to its built-in stereo mics, the Zoom H4N Pro has a 1/8" input for a lapel mic, and XLR inputs for dynamic or condenser mics. And with a maximum threshold of 140 dB SPL, you don't have to worry about excessive volume levels overwhelming the recorder. 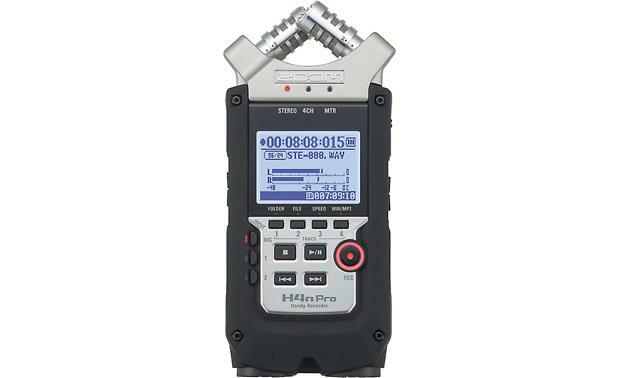 The H4N Pro can be set to automatically record when sound is detected. You can also use the pre-record function to capture the previous couple of seconds before you actually hit the record button, ensuring you never miss the beginning of a great take. Record up to four tracks simultaneously, or overdub onto previously recorded tracks. 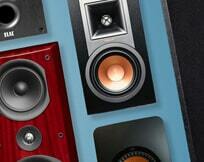 You can also edit your recordings, adding effects like compression and a low-cut filter. 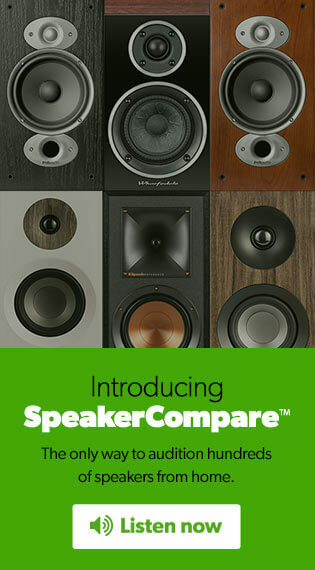 You can mix down to stereo, and create finished files as convenient MP3s or high-resolution WAV files. And you can do it all using the H4N Pro's intuitive LCD display. You can easily review your recordings made with the H4N Pro. 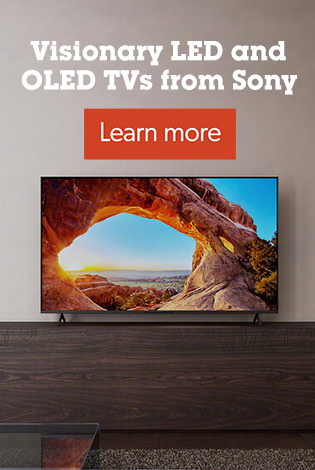 There's a small built-in speaker, as well as a headphone output. The recorder's line out is ideal for sending high-quality audio to a DSLR camera to accompany video. A threaded insert in the H4N Pro's body lets you mount the recorder to a tripod or to your camera with an optional hot shoe mount. 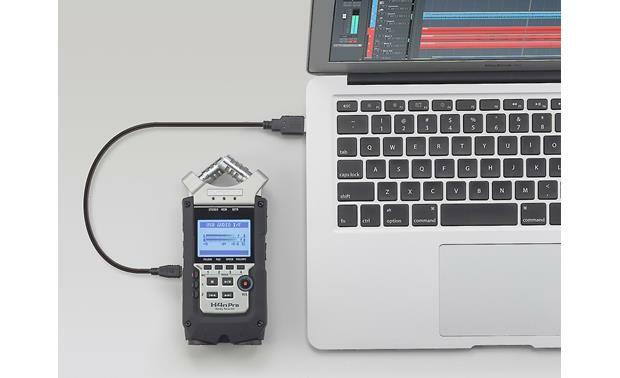 If you want to expand the H4N Pro's audio editing capabilities, you can connect it to your computer via USB. Install the included Steinberg Wavelab LE software on your computer, and you'll be able to take advantage of the H4N Pro's advanced editing and mastering features. If you have your own digital audio workstation software on your computer, you can use the device as an audio interface to record multitrack music and create professional-sounding songs. 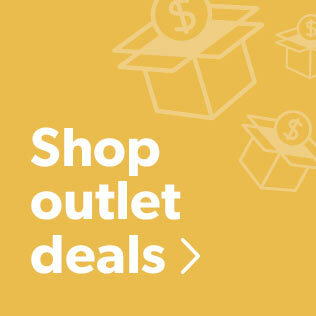 You can connect microphones or line-level instruments like keyboards or a guitar via direct box to the combination XLR/TRS inputs on the bottom of the recorder. 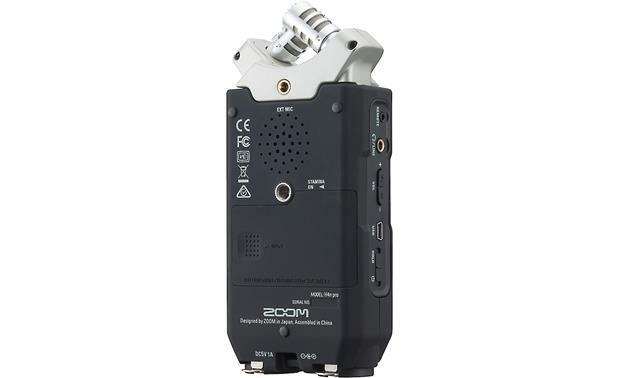 Overview: The Zoom H4n Pro Handy Recorder is a portable 4-track digital audio recorder with two analog inputs, two built-in microphones, and a stereo mic input. 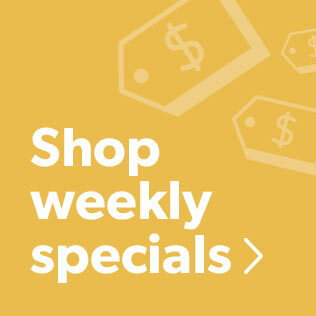 It is ideal for recording audio for music, film, podcasting, and other activities. 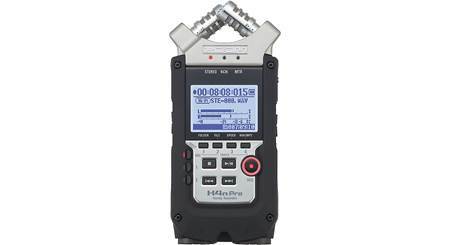 The H4n Pro can record in either WAV or MP3 onto SD or SDHC memory cards. A 1.9" backlit LCD screen (128 x 64 dots) shows the input levels of all four tracks, and lets you maneuver through the menu with ease. The unit includes Steinberg Cubase LE and WaveLab LE music production software (free via download), and a hard plastic carrying case. 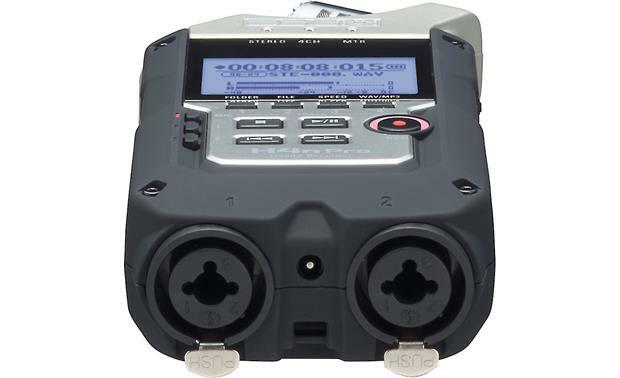 Main Inputs: The H4n Pro has two main inputs with combo connectors that can accept either XLR or 1/4" balanced or unbalanced plugs. The inputs can handle both mic-level and line-level signals with ease, with internal switching contacts automatically detecting the signal type. If you are using condenser microphones, a simple menu option provides Phantom Power (+24 or +48 volts) to the main inputs. 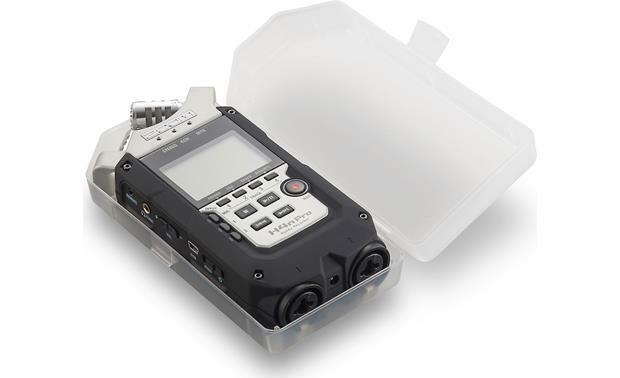 Built-in Microphones: The H4n Pro has two built-in condenser microphones in an X/Y configuration. The mic capsules can be rotated to change the angle from 90° to 120° for a wider stereo image. The microphones can record up to 140 dB SPL. 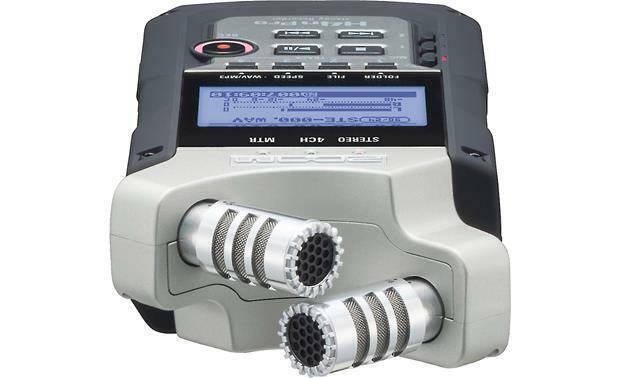 The H4n Pro uses the same mic preamps as the Zoom H5 and H6 recorders. The preamps offer a lower noise floor (-120 dBU EIN) to allow you to record audio at lower volume with less noise. 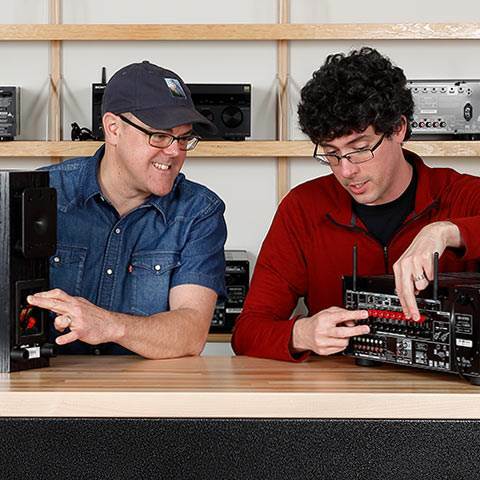 A stereo 3.5mm input lets you connect an external stereo microphone instead of the built-in mics. Outputs: The H4n Pro features a 3.5mm unbalanced headphone/line output, located on the side panel. You can monitor your recordings in real time with headphones, or send a stereo signal to a camera, camcorder or other device. A Mini-B USB port (2.0 Hi-Speed compatible) allows you to directly connect the recorder to a computer for transferring files. 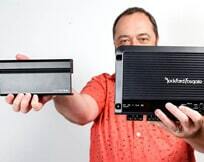 You can also use it as an audio interface, or as an SD card reader for your computer. WAV: Uncompressed WAV files can be recorded at 44.1kHz, 48kHz, or 96kHz, and 16-bit or 24-bit. In 4CH mode, only 44.1/48kHz, 16/24-bit are available. WAV files are automatically time-stamped, making them compliant with the Broadcast Wave Format (BWF). 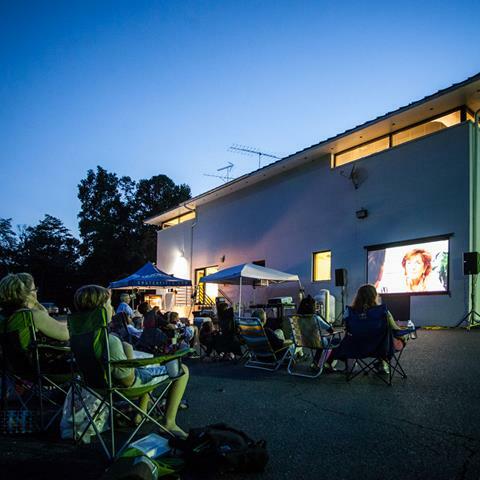 This allows you to precisely synchronize the audio with on-screen action in video post production. 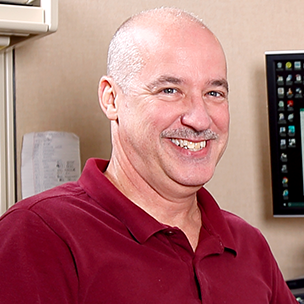 MP3: MP3 files are compressed to reduce file size, making them easier to store, upload and download. You can record only stereo files in MP3. Available bit rates for recording MP3 include: 48, 56, 64, 80, 96, 112, 128, 160, 192, 224, 256, and 320kbps, plus VBR (variable bit rate). Stereo: In Stereo mode, you can select either Mic or Input 1 & 2 as the input source. This mode is convenient to record live performances, acoustic instrument, voice, or lecture. 4CH: In 4CH mode, the unit records two stereo WAV files: one stereo WAV file for the built-in microphones (or connected external microphone) and one stereo WAV file for the main inputs. This allows you to record both live sounds from the built-in mic and direct instruments via the external inputs simultaneously. MTR: In MTR (multi-track recording) mode, you can record tracks in Mono or Stereo from Input 1, Input 2, or the internal microphones. 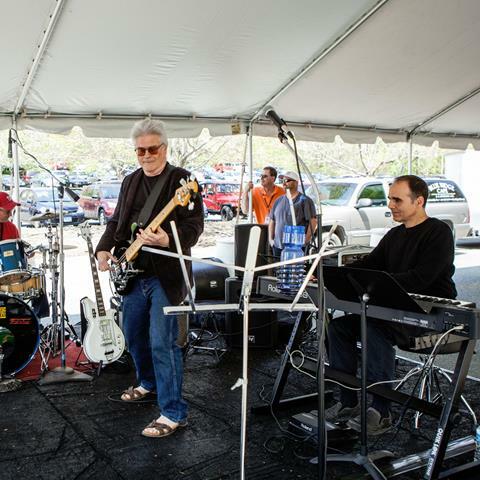 You can combine them with tracks recorded in other modes or overdub additional tracks. This mode allows you to record using effects, overdub recordings, and use previously recorded sound files. Stamina Mode: The Stamina mode is designed to save battery power when recording under battery power, and when AC power is not available. It is similar to Stereo mode, but has less functions. When recording in Stamina mode, you can only record/playback in WAV 44.1kHz/16-bit and MP3 formats. Activating Stamina mode requires flipping a switch under the battery compartment door while the unit is turned off. Auto-Record: The Auto Record function can detect when the input level surpasses a preset level, and can automatically start recording from the recording standby mode. 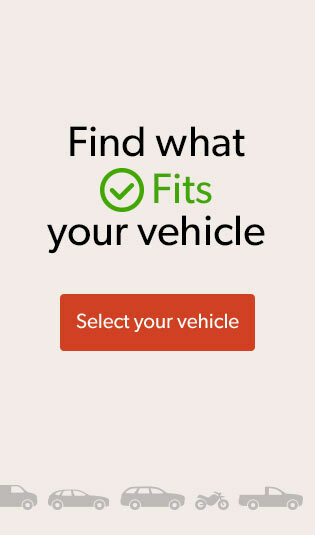 You can independently set a start level and a stop level. Likewise, you can set the recorder to stop recording automatically once the input level goes below a pre-determined level. Pre-Record: The H4n Pro's Pre-Record function can help prevent missing the beginning of an event. When Pre-Record is engaged, the H4n Pro will continuously record in the background while you wait for the event to begin. 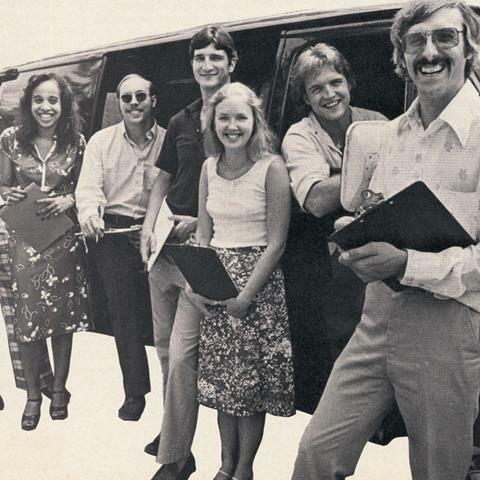 When you hit the Record button, the recorder keeps the previous two seconds and adds it to the beginning of the file. Mixer: In 4CH mode, you can use the mixer to adjust the playback level and pan settings of two stereo files. Preamp Module: The Preamp Module offers multiple guitar, bass, and mic preamp effects. EFX Module: The EFX Module has compressor/limiter effects, modulation effects, and delay/reverb effects. 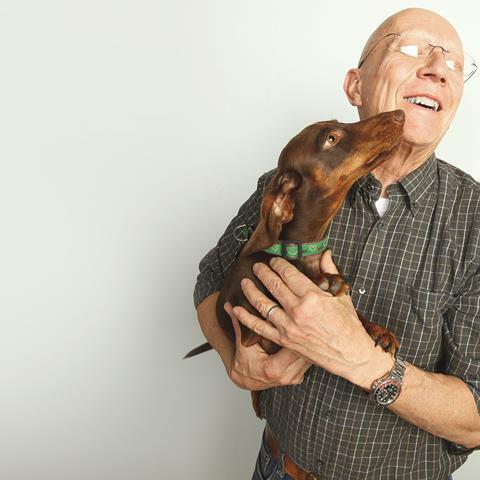 Tuners: The recorder can be used as a standard chromatic tuner to help keep everyone in tune. In addition to chromatic, there are other tuning modes such as guitar, bass, open A, open D, open E, open G, and DADGAD. 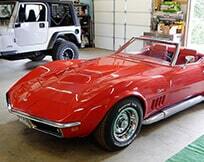 The tuner can be calibrated between 435 Hz to 445 Hz in 1 Hz intervals. The input source can come from the microphone or the line input. Karaoke: Music files can be converted into Karaoke form for recording vocals or additional guitar sounds over those files. You can apply center cancellation to the karaoke track, as well as variable key control. 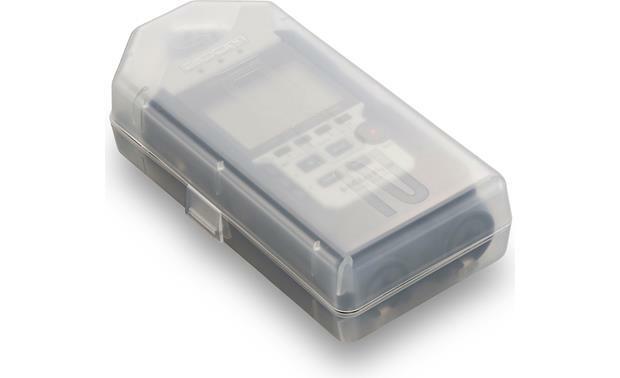 Optional Remote Control: The H4n Pro is compatible with the optional RC4 wired remote control. 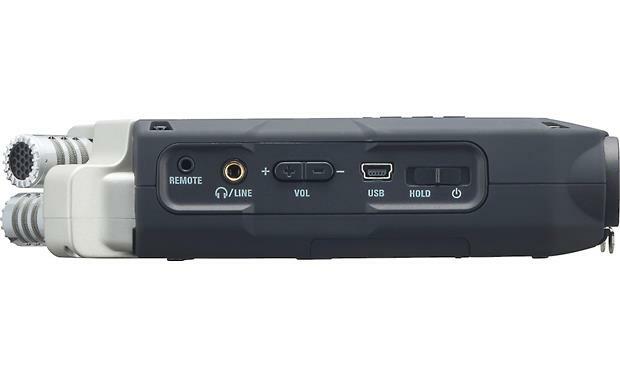 The RC4 plugs into the side of the recorder and gives you the following controls: Start/stop recording, fast forward, rewind, change input source, and set recording and playback levels. Mounting Options: The H4n Pro has a 1/4" threaded tripod mount on the bottom. The optional HS-1 hot shoe adapter (sold separately), you can mount the recorder to the top of a DSLR or shoe-equipped camcorder. A mic clip adapter (MA-2) is available that will let you mount the H4n Pro on a standard microphone stand. 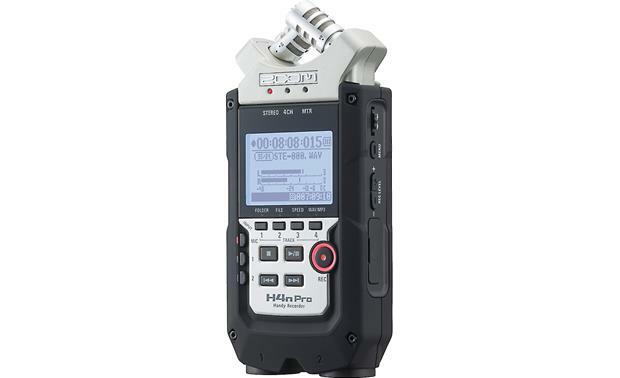 Power Requirements: The H4n Pro comes with two "AA" batteries for powering the recorder. Either alkaline or nickel-metal hydride (NiMH) batteries can be used. A segmented remaining battery charge indicator appears in the display. You must correctly set the battery type in the menu to accurately calculate remaining battery power. You can record continuously for about 6 hours using alkaline batteries or about 8 hours using NiMH (2450mAh) batteries. In the Stamina mode, battery life is extended to about 10 hours (alkaline) and 12 hours (NiMH). 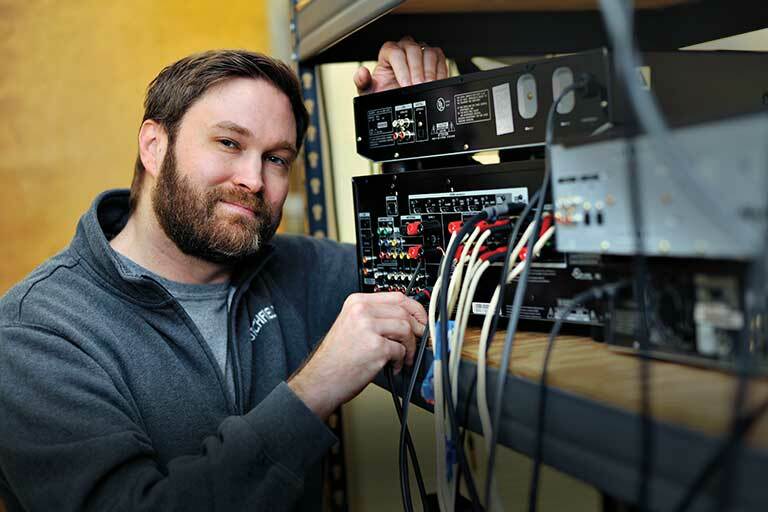 When using the H4n Pro as an SD card reader or audio interface, you can power the unit by USB bus power while connected to a computer. 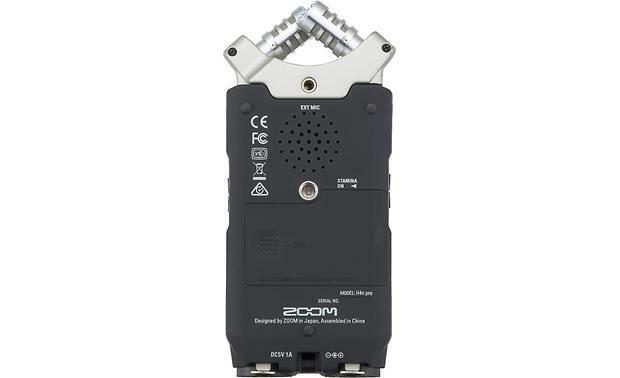 The optional Zoom AD-14 AC adapter (5V 1A) is recommended for long recording or playback sessions. Included Software: The H4n Pro comes with free download licenses for Steinberg's Cubase LE music production software and WaveLab LE audio editing software. Cubase LE and WaveLab LE work with Windows 7, 8/8.1, and 10, and Mac OS X 10.11, macOS 10.12 and macOS 10.13. 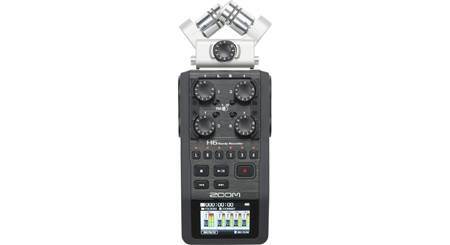 Searches related to the Zoom H4N Pro Handheld 4-track digital recorder.